Pig plague? There's an app for that! The medical heavyweights at the Harvard Medical Center have jumped on the swine flu-info bandwagon with the release of an iPhone app to educate individuals and businesses about the ongoing pig plague pandemic. 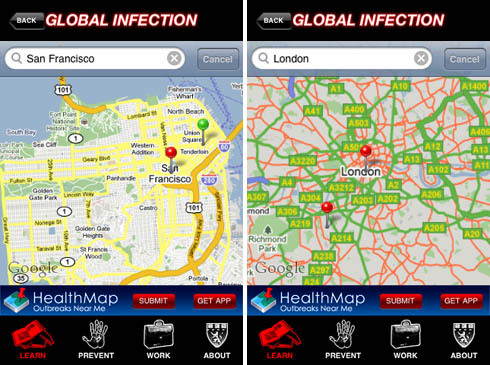 The new $1.99 app, HMSMobile Swine Flu Center (all App Store links), includes instructional videos, animations, and text info about the H1N1 virus and interfaces with Health Map's Swine Flu + Outbreaks Near Me to show where cases of the bug have cropped up worldwide. 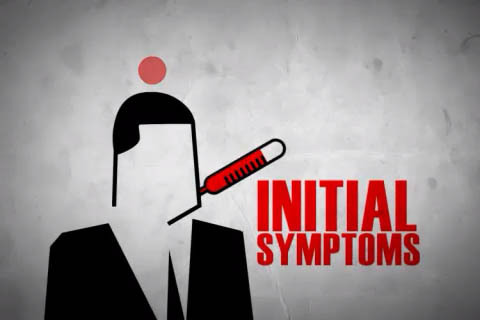 Videos include diagnosis tips and advice on how to avoid getting the flu virus in the first place, including such common-sense counsel as "During an epidemic, you should avoid shaking hands." The Harvard medics even suggest that during the pandemic we should "Instead, try this new kind of greeting: the elbow bump," noting that "Your elbow can't catch a virus from someone else's elbow." The application also touts a "Swine Flu Business Guide" developed by the Harvard Business School that offers tips for companies seeking to protect their employees from the pig plague - but despite multiple attempts, we were unable to download this free add-on. The Swine Flu Center joins a burgeoning hoard of H1N1-specific software written for the iPhone, including H1N1 Swine Flu Defender and Tracker from Current Clinical Strategies Publishing, Swine Flu! from Heydar, Influenza A(H1N1) from Meson Networks, and many more. There's even a game entitled Swine Flu Wars from Rich Olson, available in both a free and more-capable 99¢ version, should you care to virtually "travel from city to city buying and selling goods that people need to maintain their quality of life - or at least survive."